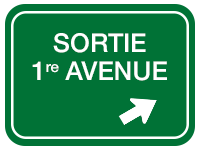 TRACTION INTÉGRALE, TOIT-OUVRANT, CAMÉRA DE RECUL / ALERTE DE CIRCULATION TRANSVERSALE, SYSTÈME PRÉ COLLISION, AVERTISSEMENT DE SORTIE DE VOIE, MONITEUR ANGLES MORTS, INTÉRIEUR CUIR / BOISERIE, SIÈGES AVANT ÉLECTRIQUES / CHAUFFANTS ET VENTILÉS, SIÈGE CONDUCTEUR À MÉMOIRE, VENTILATION AUTOMATIQUE BI-ZONE, RADIO LEXUS À ÉCRAN 8 / AM / FM / CD / MP3 / AUX / 2 PORTS USB / BLUETOOTH / RADIO SATELLITE XM INTÉGRÉ À 12 HAUT-PARLEURS, VOLANT GAINÉ DE CUIR / CHAUFFANT / INCLINABLE ET TÉLESCOPIQUE ÉLECTRIQUE AVEC COMMANDE AUDIO / BLUETOOTH ET RÉGULATEUR DE VITESSE DYNAMIQUE À RADAR, SYSTÈME SMARTKEY, DÉMARRAGE À BOUTON POUSSOIR, JANTES LEXUS 18, HAYON ÉLECTRIQUE, FONCTION DE COMMANDE AUTOMATIQUE DES PHARES DE ROUTE, PHARE DE ROUTE À DEL, PHARE ANTIBROUILLARDS (DEL), ESSUIE GLACE ACTIVÉ PAR LA PLUIE ET ENCORE PLUS. AWD, MOONROOF, REAR BACKUP CAMERA / REAR CROSS TRAFFIC ALERT, PRE COLLISION SYSTEM, LANE DEPARTURE ALERT, BLIND SPOT MONITOR, LEATHER INTERIOR / WOOD TRIM, ELECTRIC / HEATED AND VENTILATED FRONT SEATS, DRIVERS MEMORY SEAT, DUAL ZONE AUTOMATIC CLIMATE CONTROL, PREMIUM LEXUS RADIO W/ 8 DISPLAY / AM / FM / CD / MP3 / AUX / 2 USB PORT / BLUETOOTH / INTEGRATED SATELLITE RADIO W/ 12 SPEAKERS, LEATHER WRAPPED / HEATED AND POWER TILT AND TELESCOPIC STEERING WHEEL W / AUDIO CONTROL / BLUETOOTH AND DYNAMIC RADAR CRUISE CONTROL, SMARTKEY SYSTEM, PUSH START BUTTON, 18 LEXUS ALLOY WHEELS, POWER TAILGATE, AUTOMATIC HIGH BEAM (LED), LED HEADLAMPS, AUTOMATIC HEADLAMPS SYSTEM, FOG LIGHTS (LED), RAIN SENSING WIPERS AND MORE. 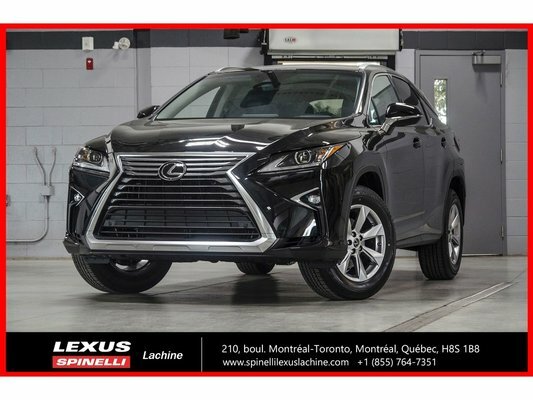 ce véhicule d’occasion Lexus RX 350 AWD; CUIR TOIT CAMERA ANGLES MORTS LSS+ 2019 à vendre au prix de 57 745 $ chez Spinelli Lexus Lachine aura tout pour vous plaire.